Something to look forward to: Motorola's new 5G Moto Mod is compelling but the subscription aspect sounds a bit suspect. That said, we'll reserve final judgment until we hear more from Motorola on the matter. Motorola on Thursday announced the world’s first smartphone with access to Verizon’s upcoming 5G network. That distinction comes with a sizable asterisk but we’ll get to that shortly. The new Moto Z3 features a six-inch display with a resolution of 2,160 x 1,080 that’s powered by Qualcomm’s Snapdragon 835 processor and 4GB of RAM. The handset also features 64GB of internal storage, dual 12-megapixel rear-facing cameras, an 8-megapixel front-facing camera with 84-degree wide-angle lens, USB-C connectivity and a 3,000mAh battery. There isn’t a headphone jack but Motorola will include a converter dongle in the box. 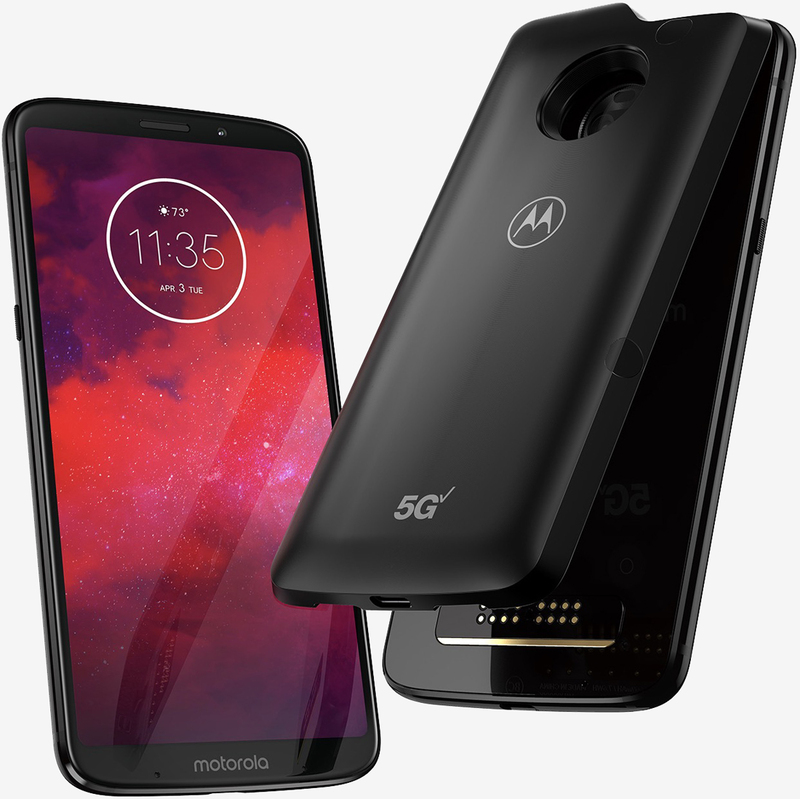 As mentioned, The Z3 will be able to connect to Verizon’s 5G network but you’ll need the 5G Moto Mod to do so. According to PCMag (citing Motorola engineers), the 5G Mod will act like “a data card connected to your phone” meaning it’ll have its own SIM and subscription. No word yet on how Verizon plans to handle the service plan of if you’ll be able to swap it between handsets. The Mod features a Snapdragon X50 modem as well as a built-in 2,000mAh battery. The Moto Z3 will be available starting August 16 exclusively through Verizon in the US. It’ll set you back $480, or $20 per month for 24 months through Verizon’s device payment plan. The 5G Moto Mod is scheduled to arrive sometime in early 2019, we’re told.